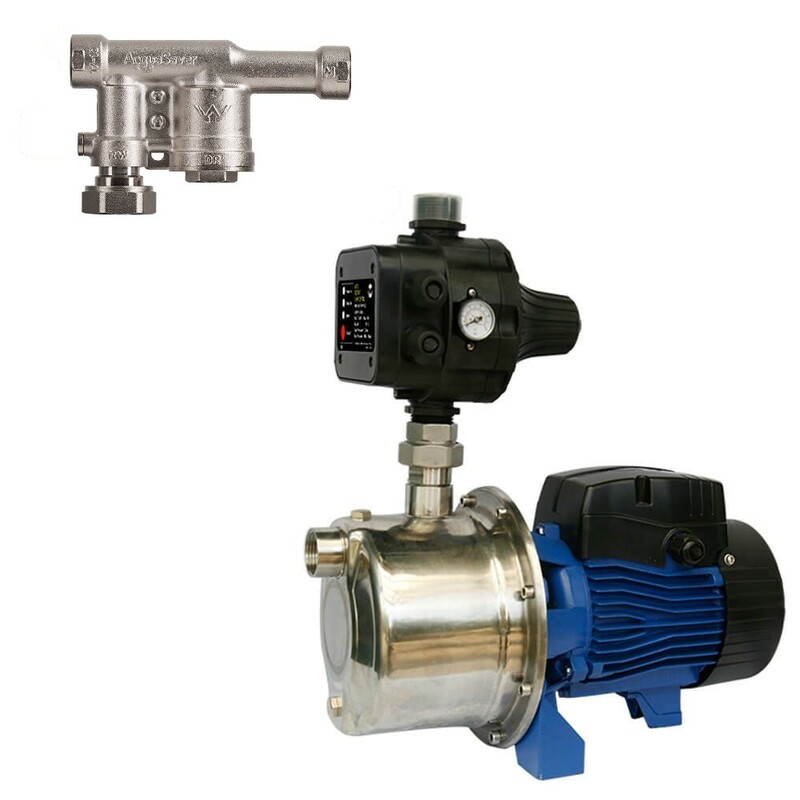 20mm hydraulic AcquaSaver mains/ rainwater valve & BIA-Inox45S2MPCX surface mounted jet pump. Suited for granny flat applications or installations connecting to a toilet and garden tap. Please note that the maximum mains operating pressure is 500kPa. Pumps must be protected from the weather. Pump covers available.